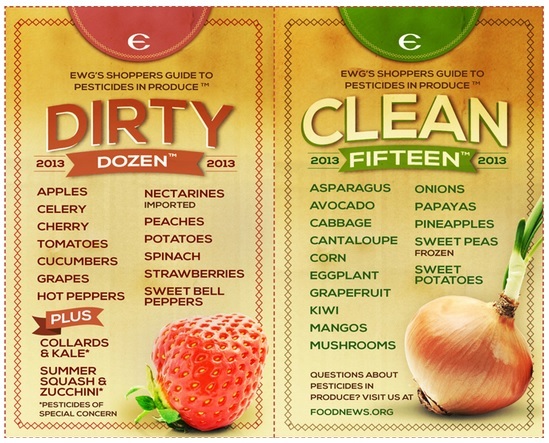 Note: EWG analyzed pesticide tests of 48 popular produce items. Domestic and imported versions of two items - blueberries and snap peas- showed sharply different results, so we have ranked those domestic and imported items separately. 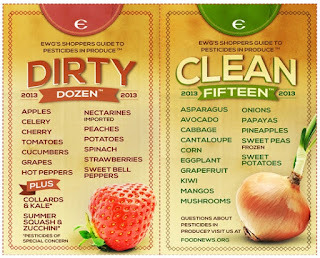 As a result, the full list of foods ranked by the Shopper's Guide displays 50 entries.